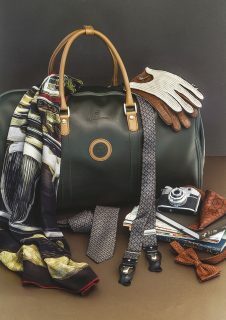 Below is just a selection of the entire range of sale items: view the the entire holiday sale list here. 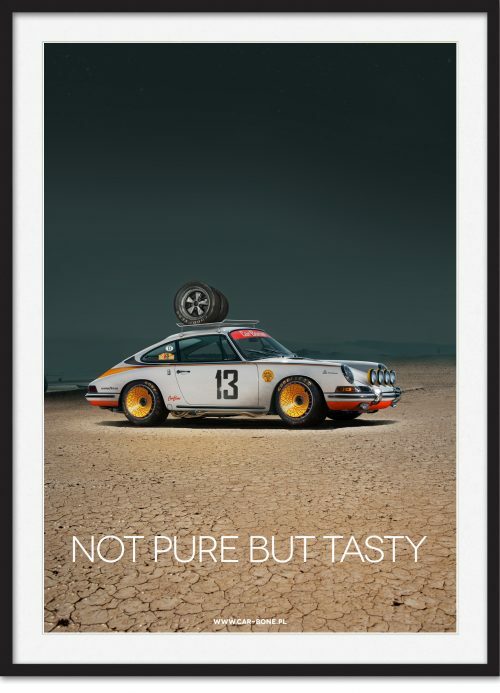 Rather than making the Petrolicious Holiday Sale fall into the confines of just one day, ours will run from today until November 27th, next Monday. 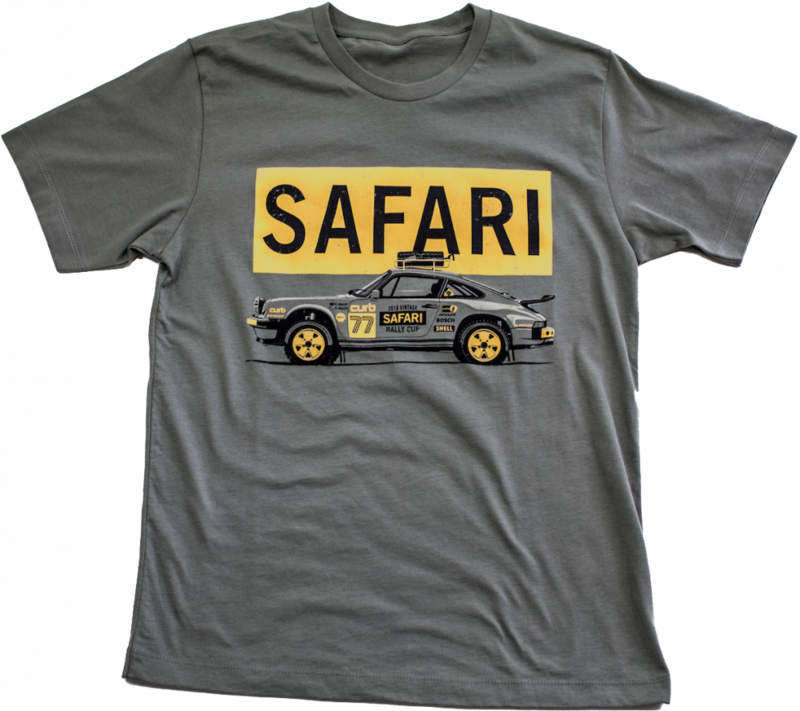 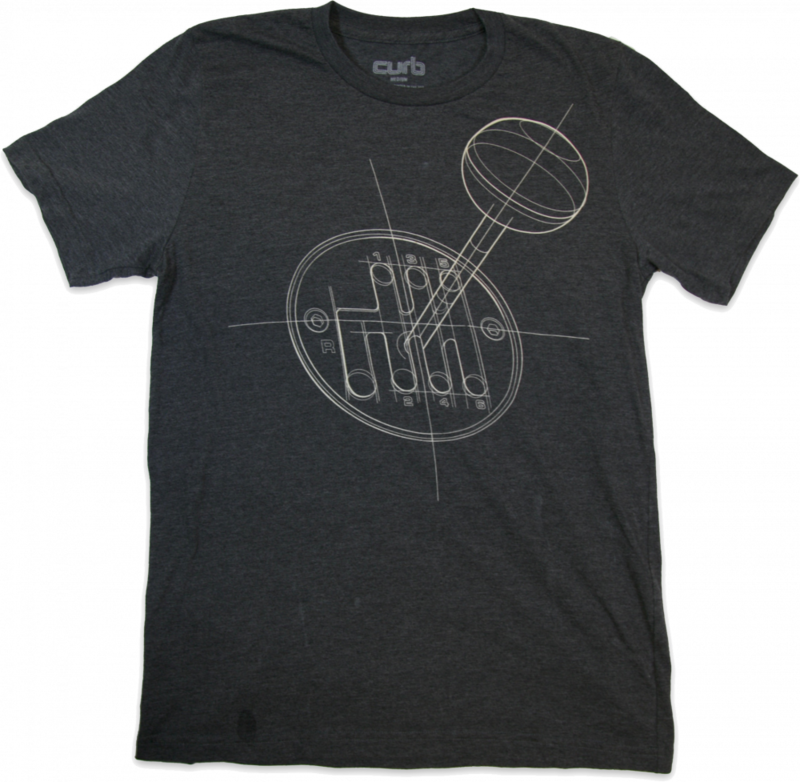 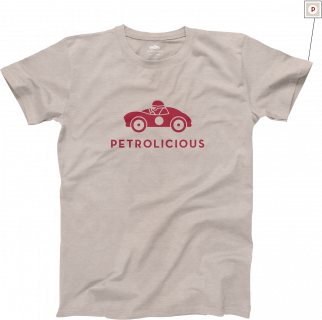 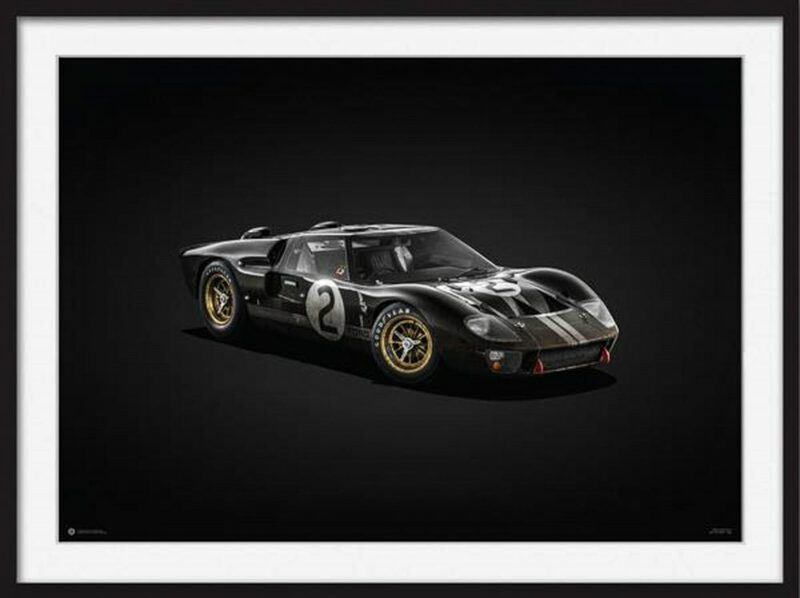 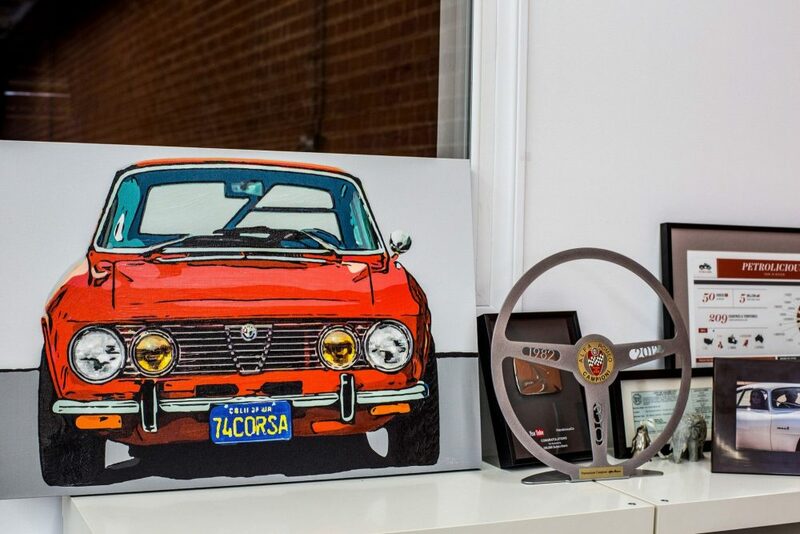 We’ve reduced pricing on a bunch of our partners’ apparel, prints, and accessories, in addition to making all Petrolicious Originals 15% off. 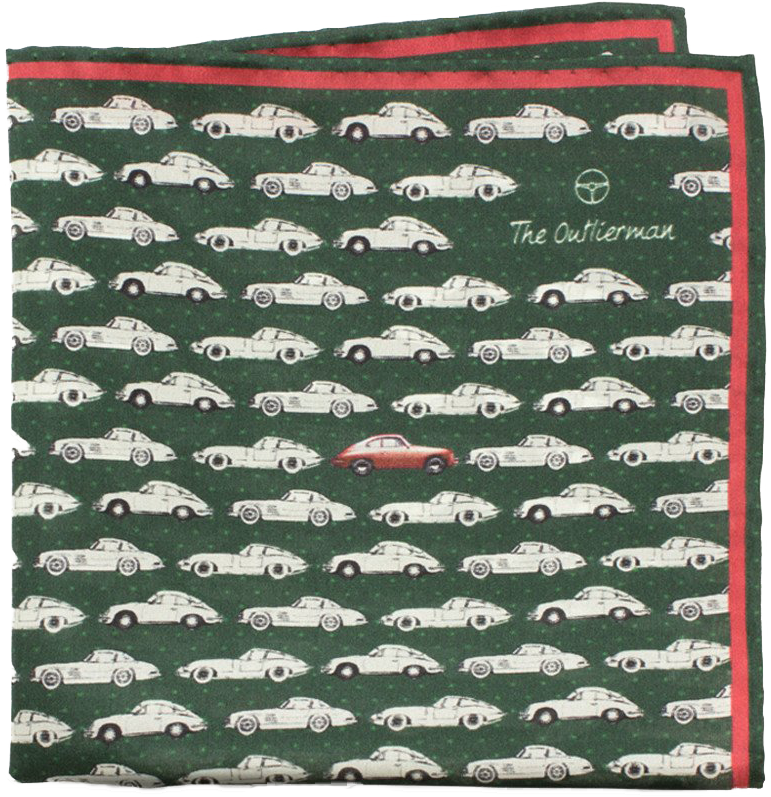 You’ll find a few things in here to help spread the joys of tasteful motoring this holiday season even if the cars have to be put away for a while. 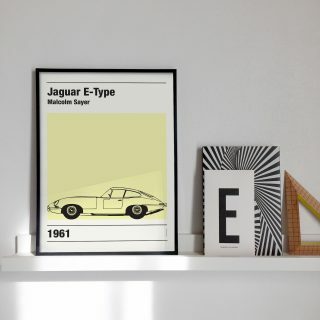 it’s okay to treat yourself too, just call it a gift to your car. With our classic tees in addition to the new national racing heritage collection, the Petrolicious Originals are a tasteful way to display your automotive enthusiasm and wear a bit of history without overdoing it. 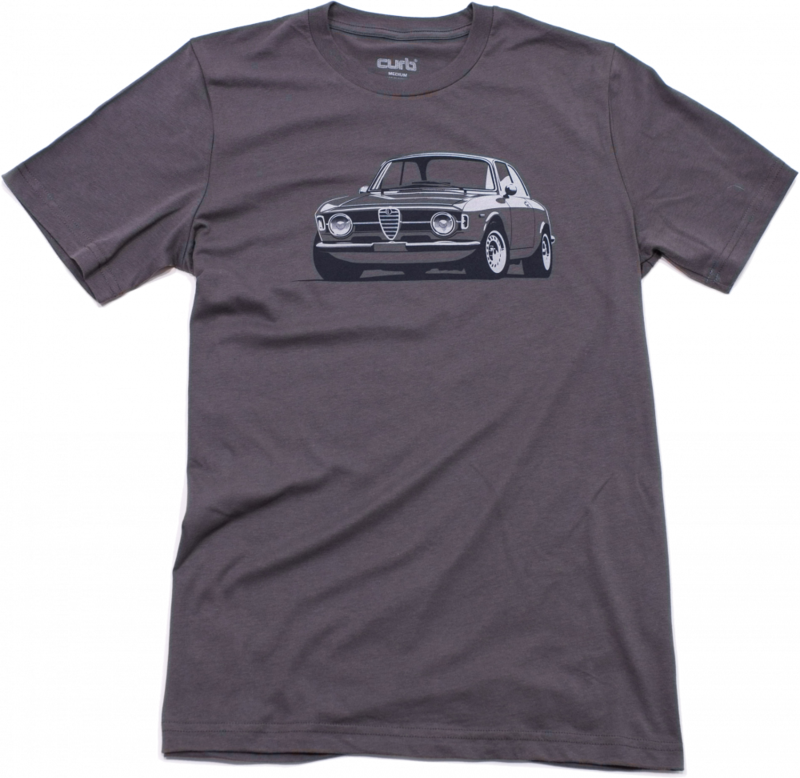 Curb is dedicated to the art of automotive design. Founded by Alan and Stuart Macey—car designers by day—their passion for the craft leads them to spend evenings and weekends making art, writing books, teaching, and shooting photos to keep themselves and others inspired. 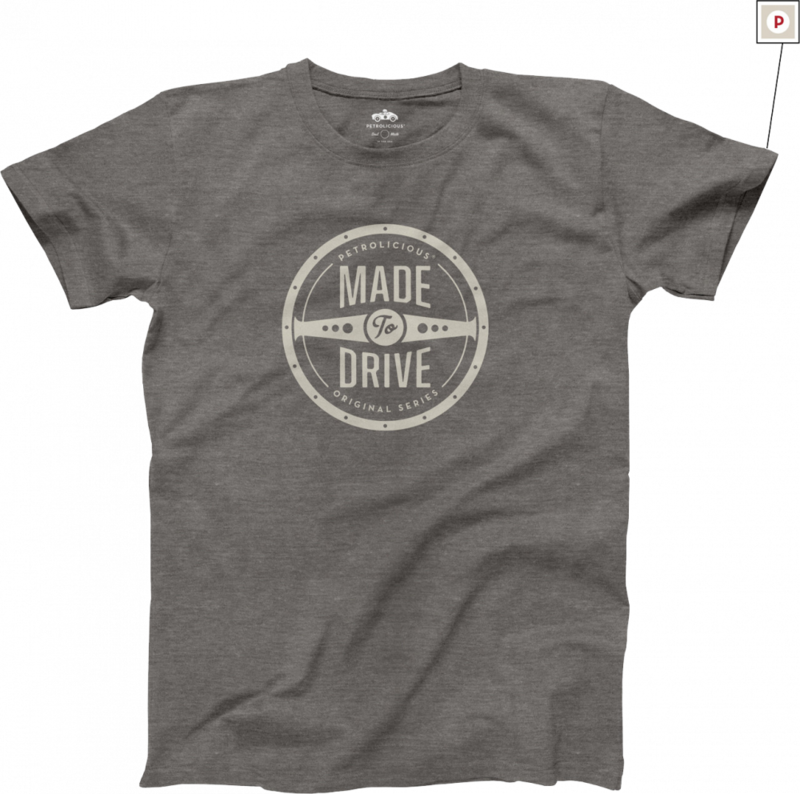 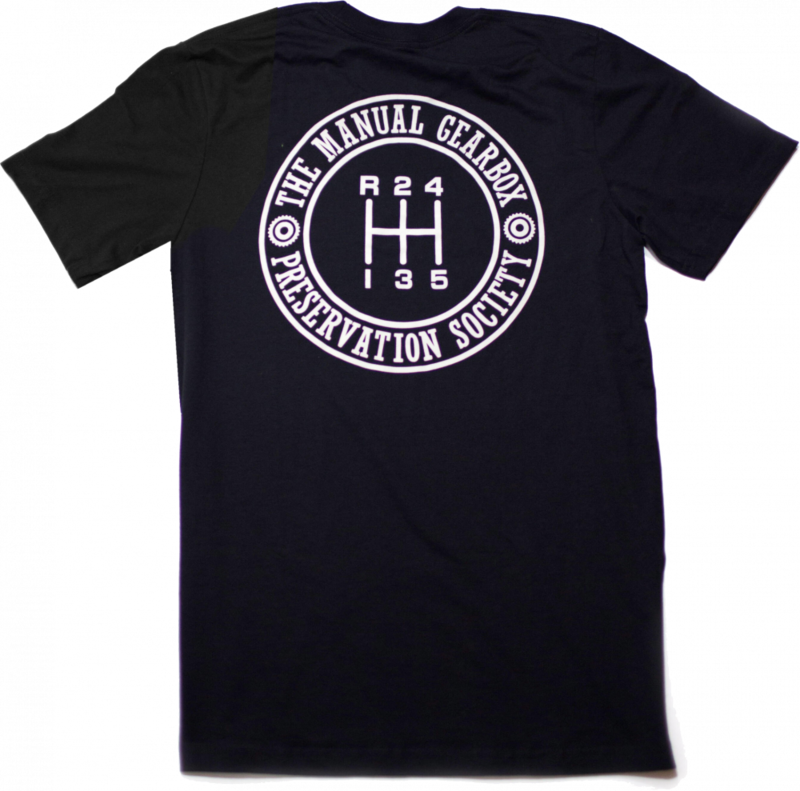 Show your love for the unparalleled experience of the manual gearbox, and become an official member of Manual Gearbox Preservation Society! 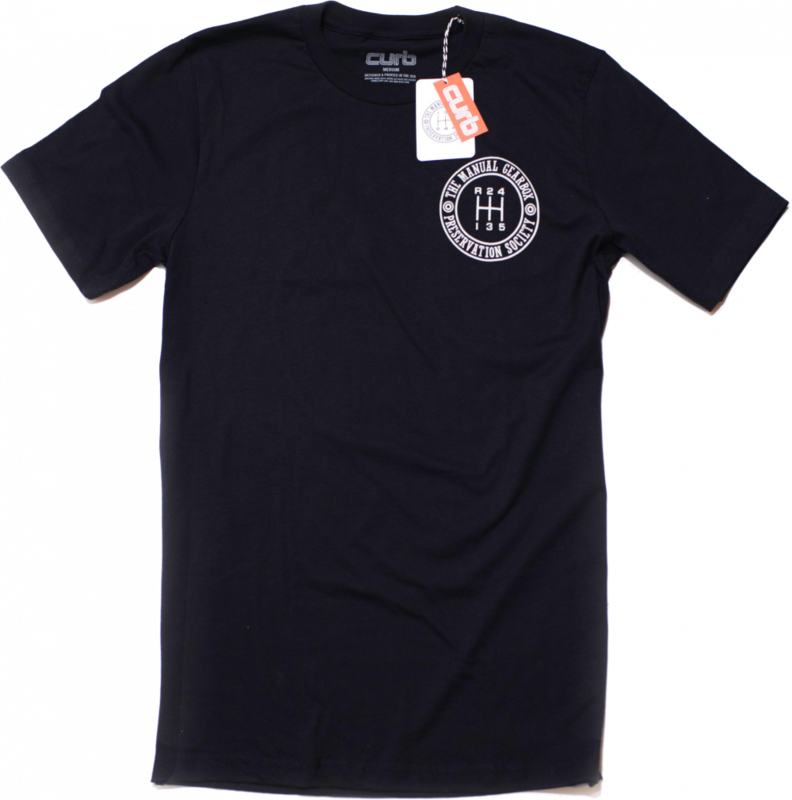 Insignia t-shirt includes a 3.5″ insignia on the left chest and 12″ on the rear. 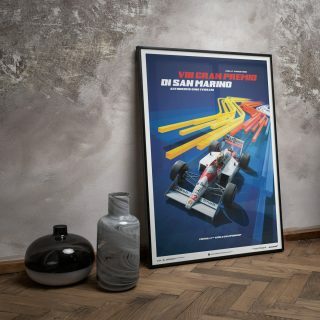 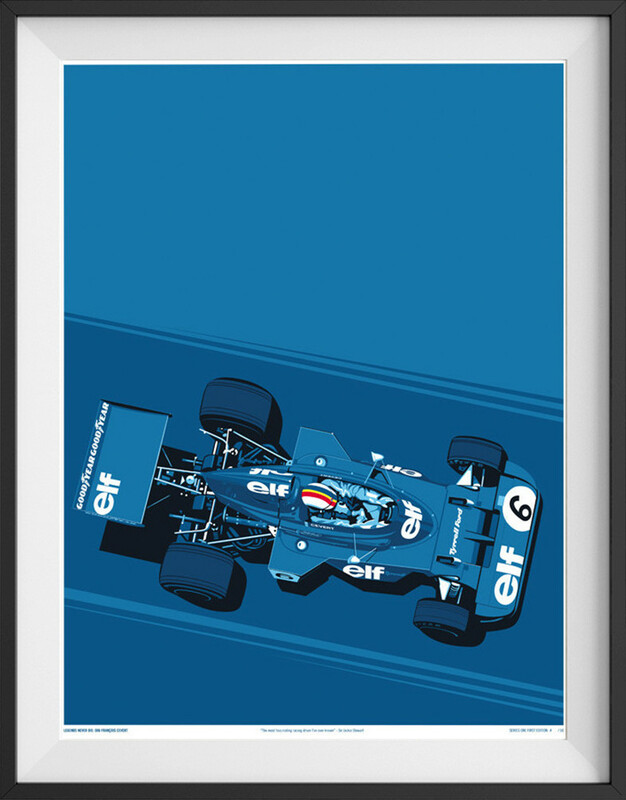 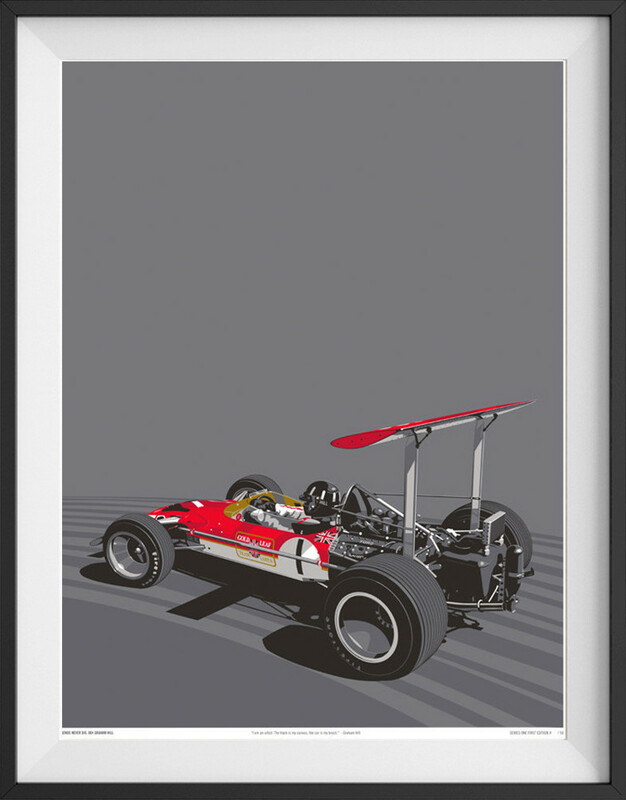 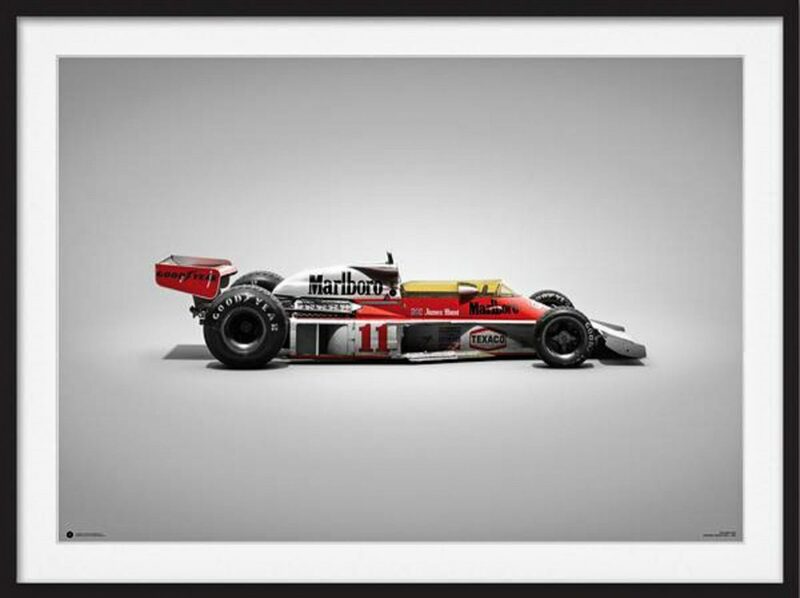 Featuring iconic pairs of Formula 1 race cars and their drivers, this trio is aptly part of Curb’s Legends Never Die collection. 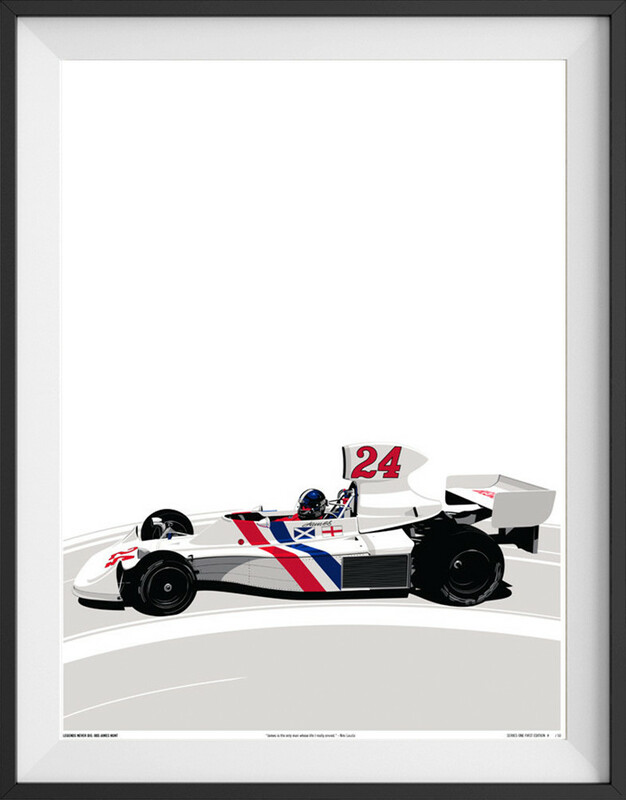 From left to right we have François Cevert in the Tyrrell 006, James Hunt in the Hesketh 308, and Graham Hill at the wheel of the Ford-propelled Lotus 49B. 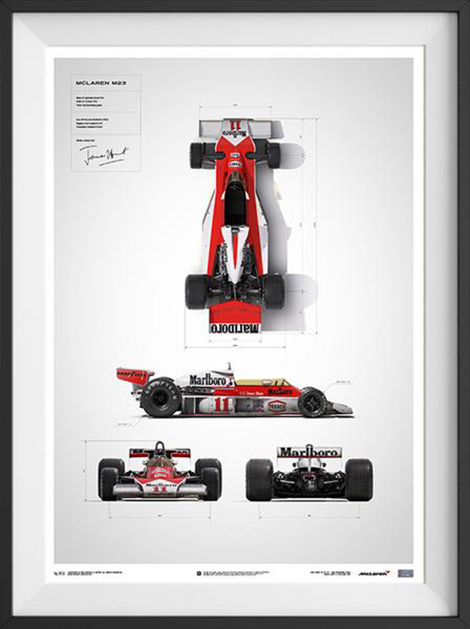 You cead more about these prints here. 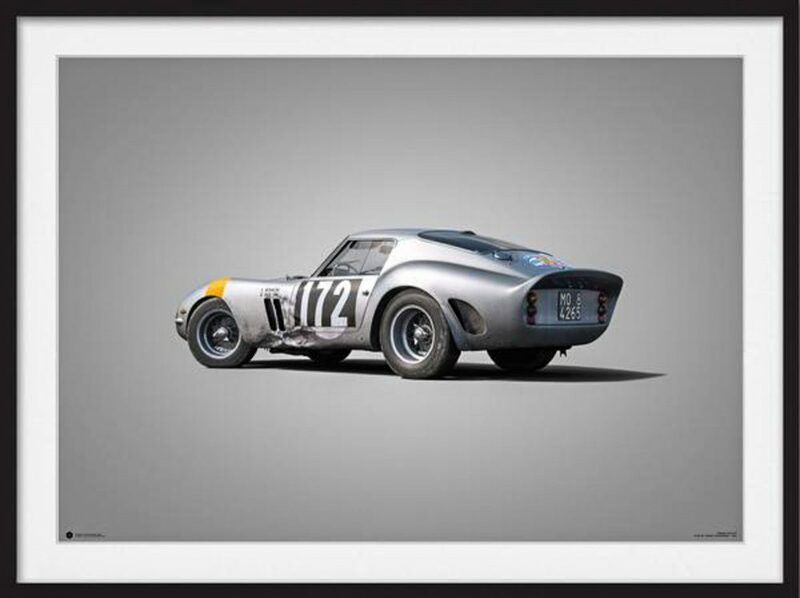 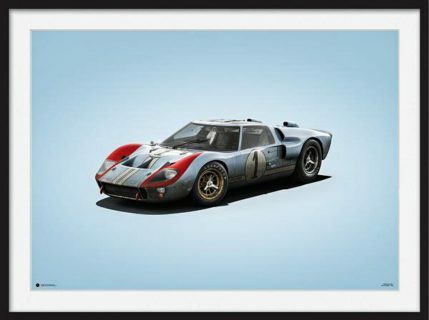 The Czechs behind Unique & Limited have been producing some of the most realistic and well-regarded digital artwork for some time now, and though much of their released work is a on a limited edition basis (the two words in the name both being descriptive of the art), they have also been releasing unlimited prints showcasing their distinct style and skill in rendering automotive icons. 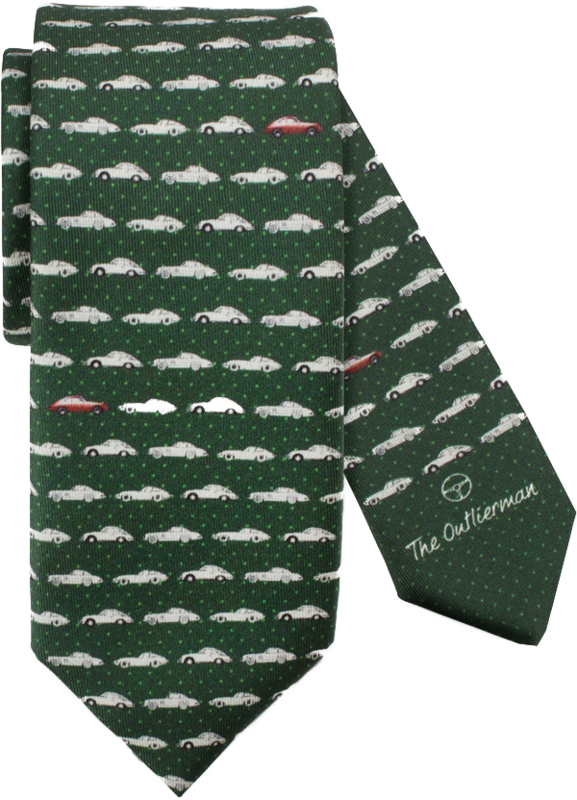 That outfit, called Automobilist, offers the kind of otherworldly creations that have made the artists famous in the vintage car community. Read more about the Colors of Speed collection (the six immediately below, and more) here, and the 911R record-setting trio here. 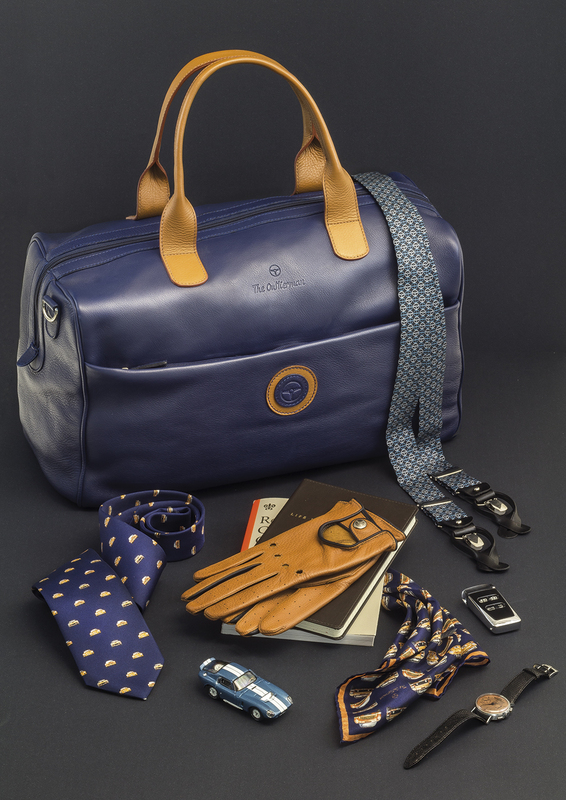 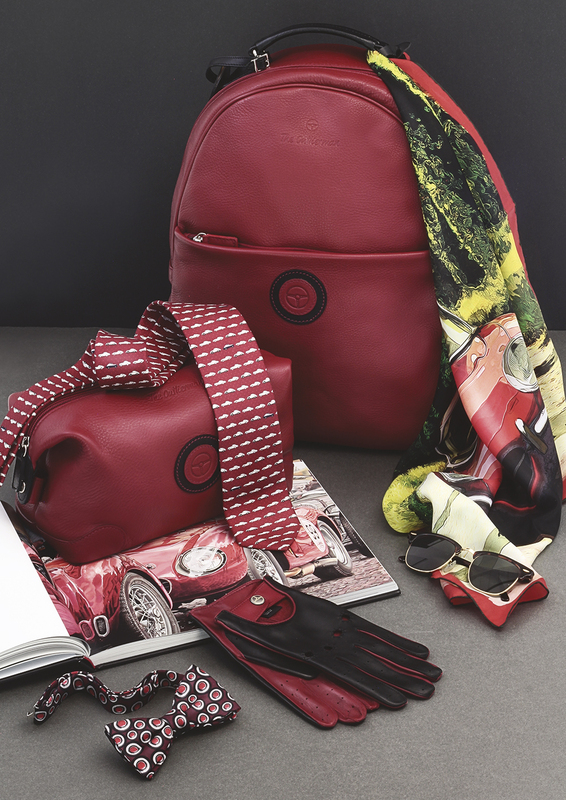 Though the gloves below are not included in the sale, the rest of the high-quality handmade Italian goods are, including the gorgeous weekender luggage. 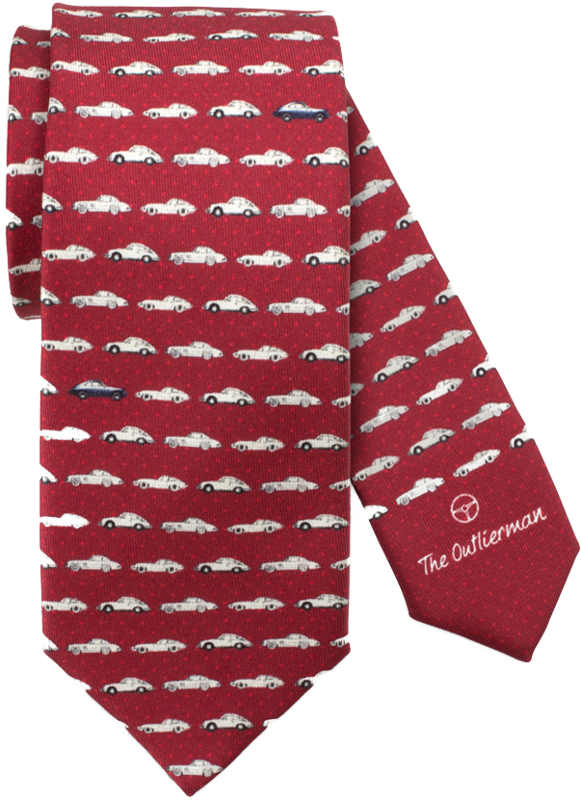 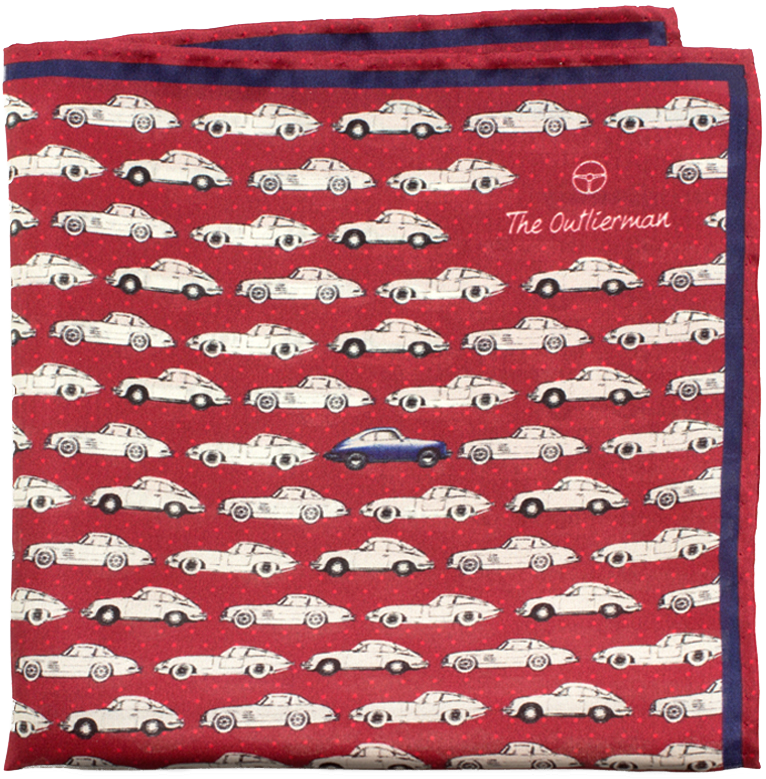 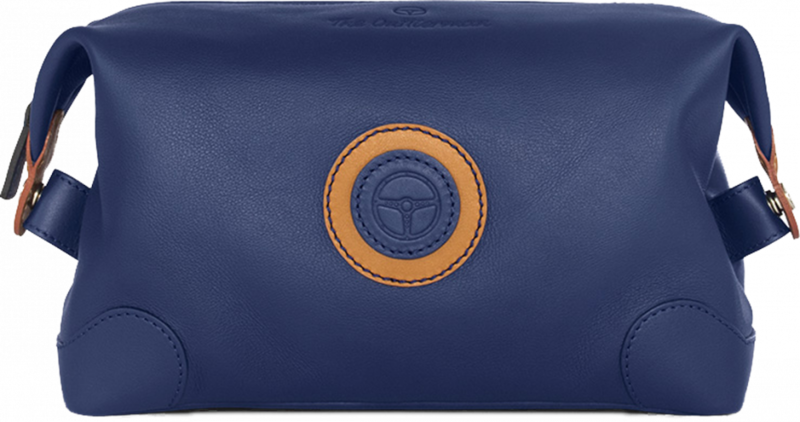 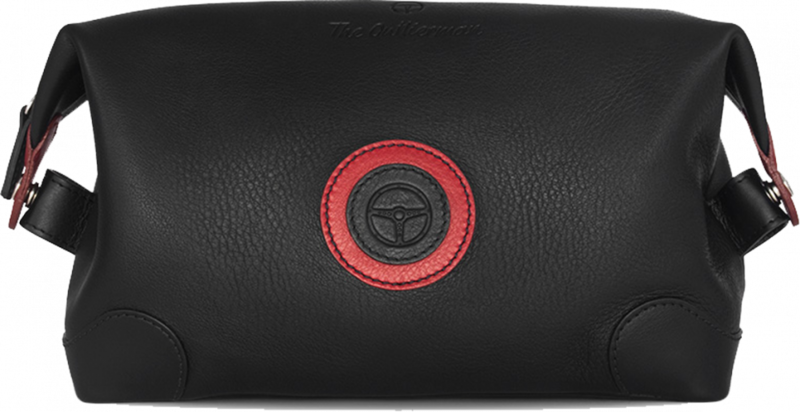 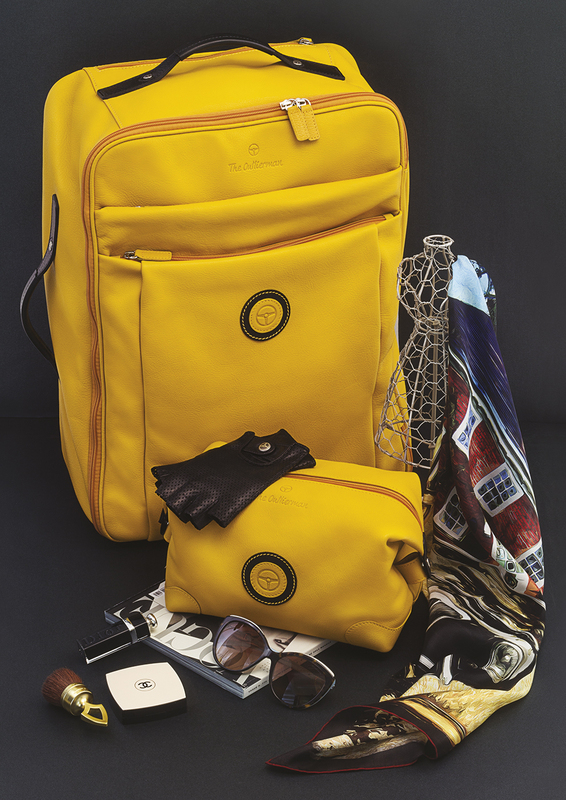 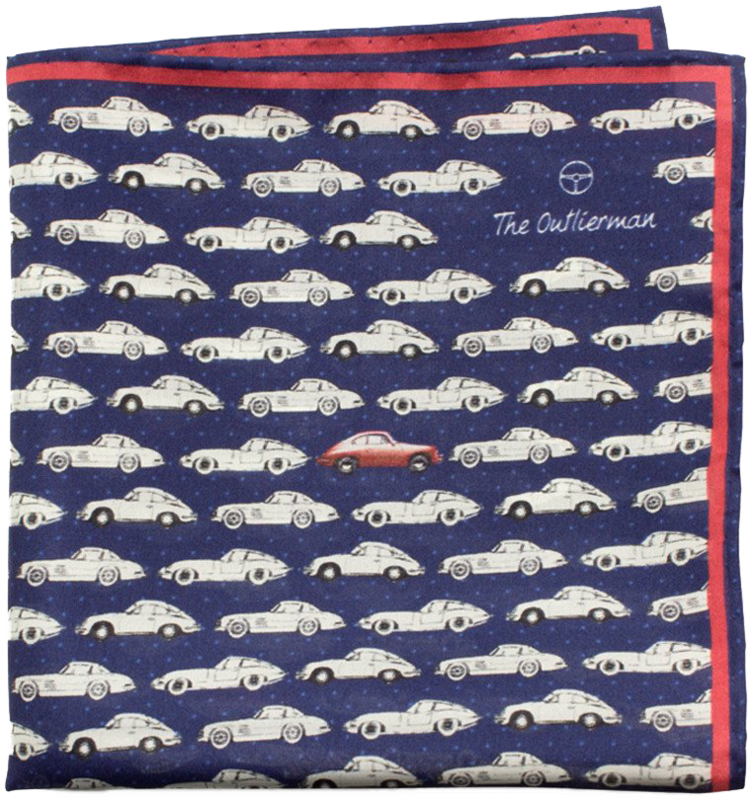 If you want to indulge in exceptionally well-made accessories that harken to the times of jet-setters driving 250 GTOs instead of blue-chrome Veyrons, The Outlierman has you covered and packed. 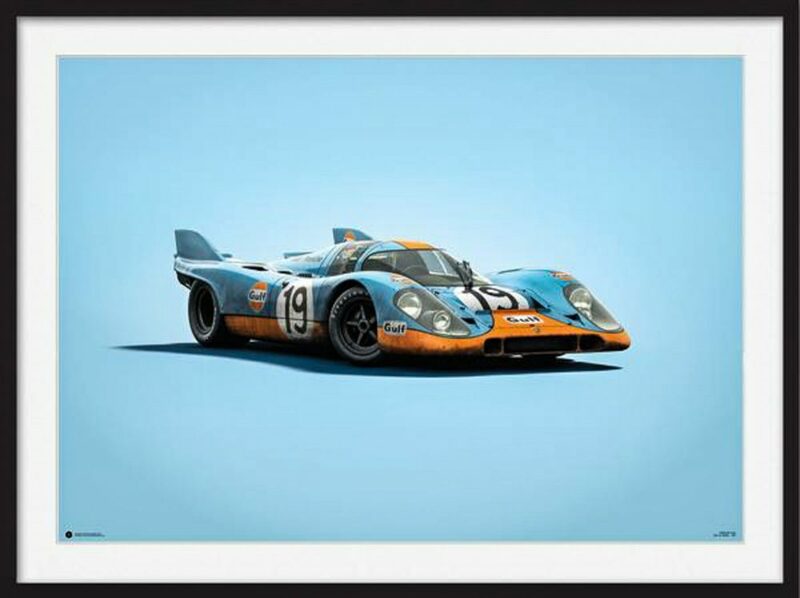 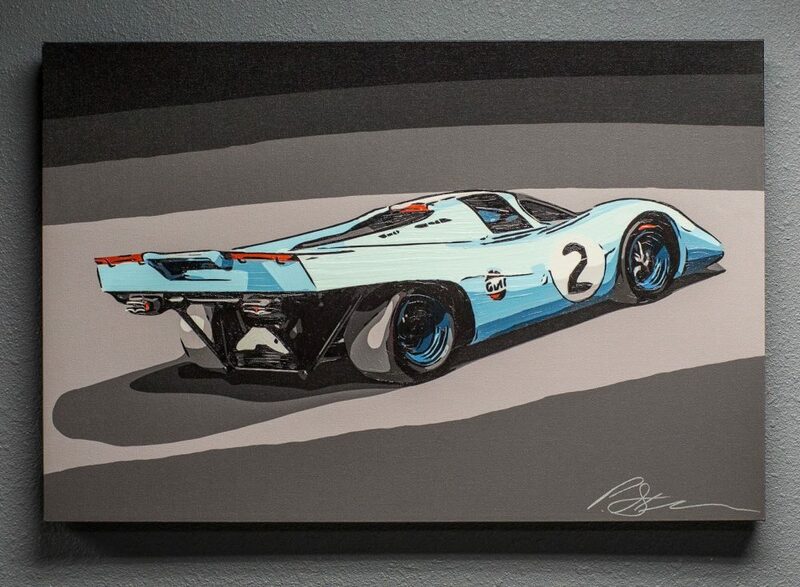 Car Bone’s series of replica and imagined Porsches manages to hit the classics (Gulf 917, Sachs 935, etc.) 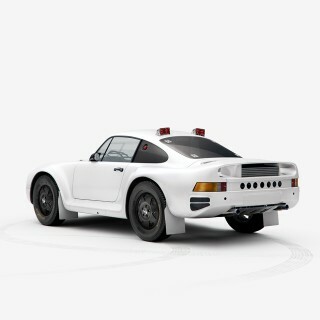 while also delivering some inspired originals (rally-spec 911 with turbofans, anyone? 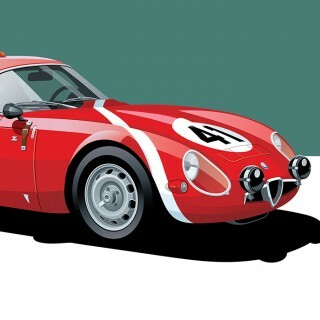 ), and they do it all with their own distinctive style. 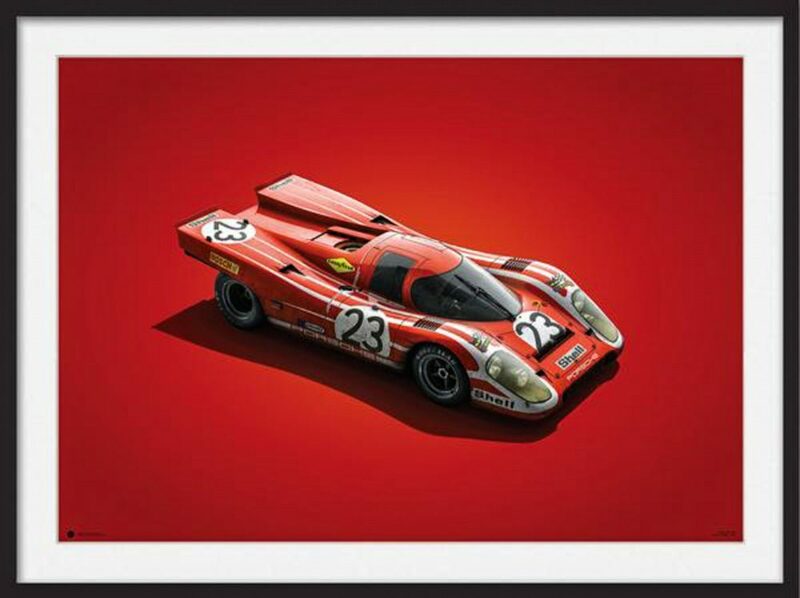 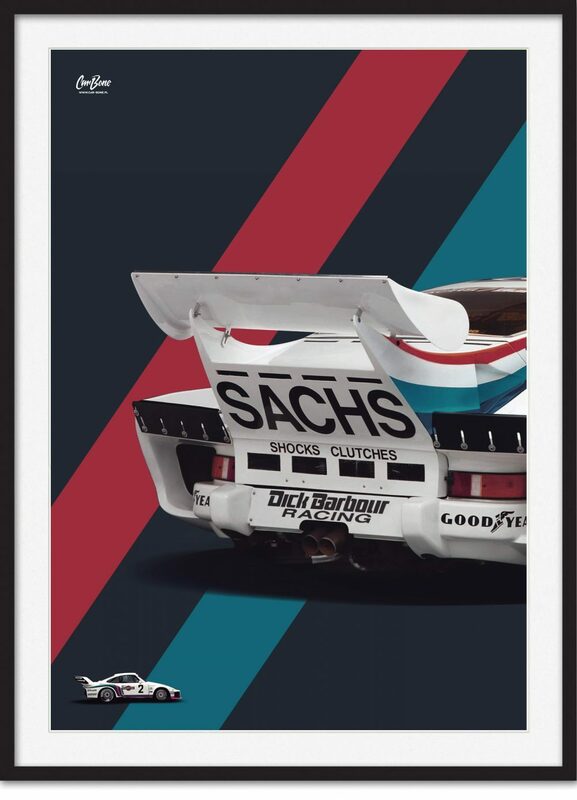 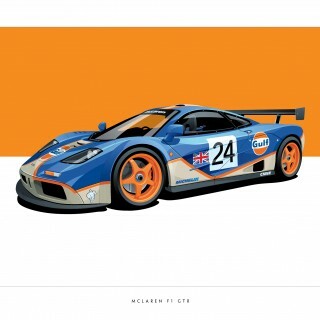 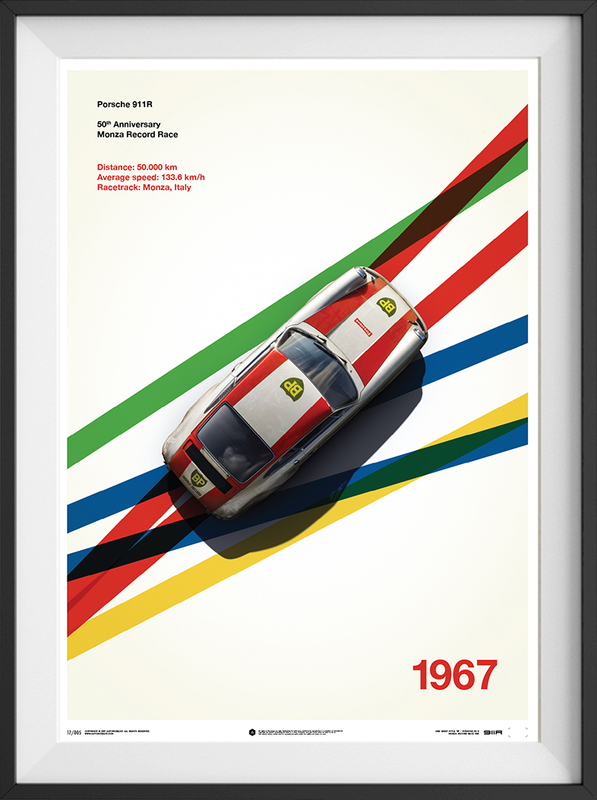 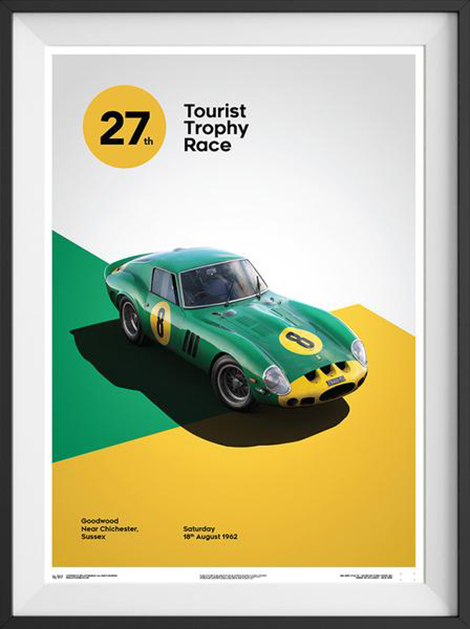 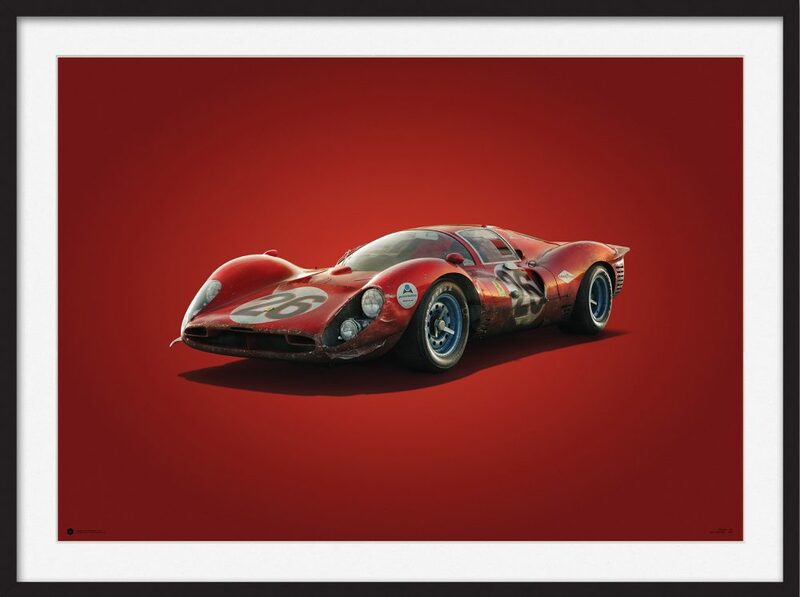 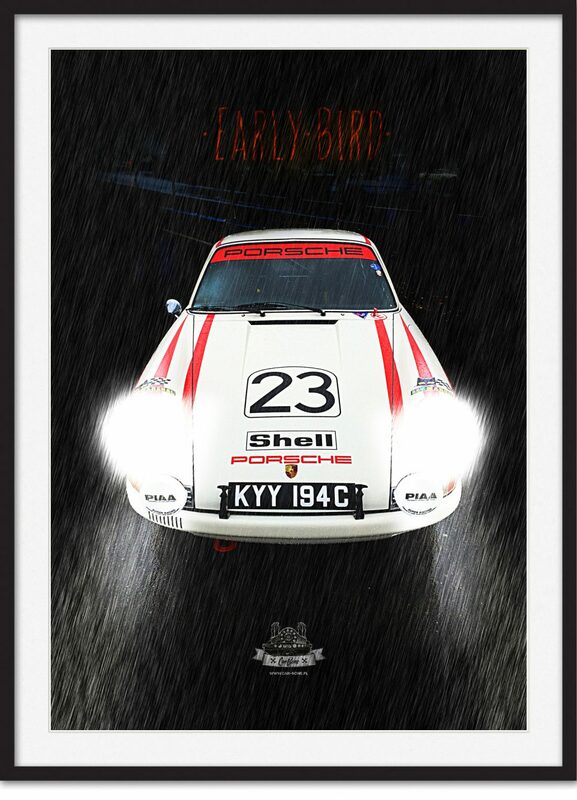 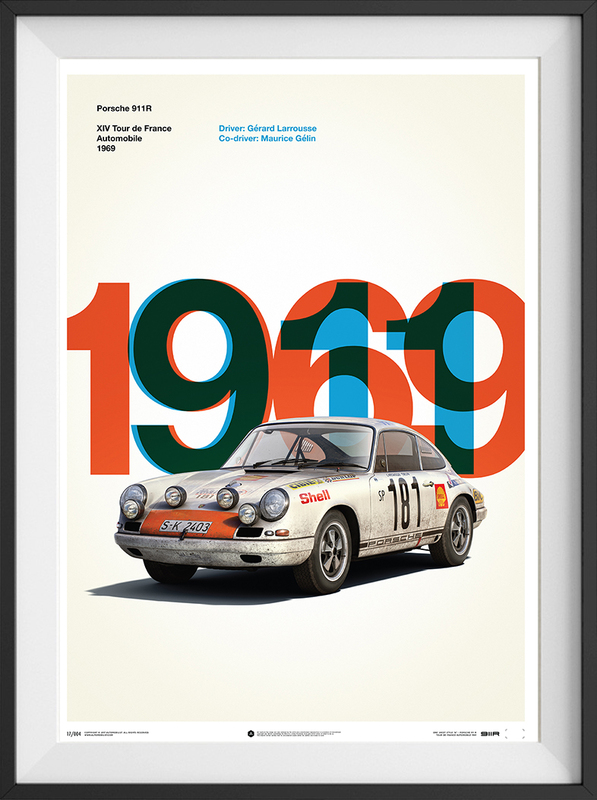 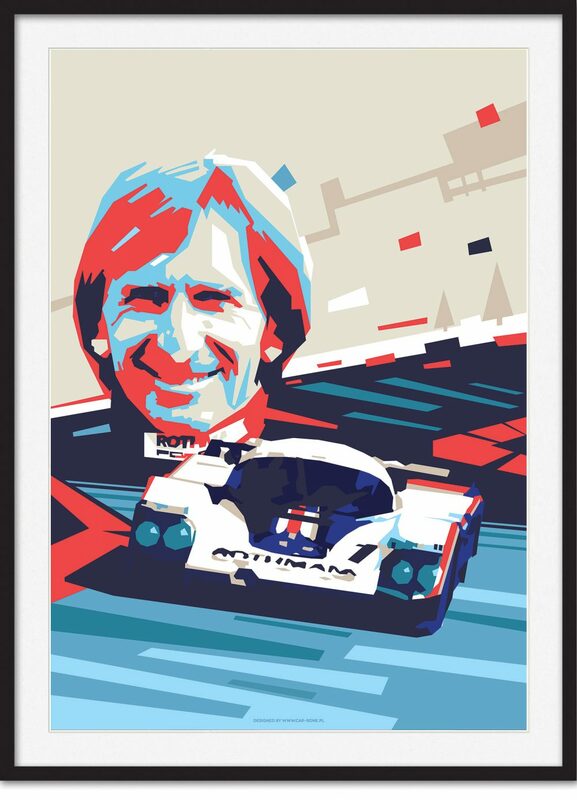 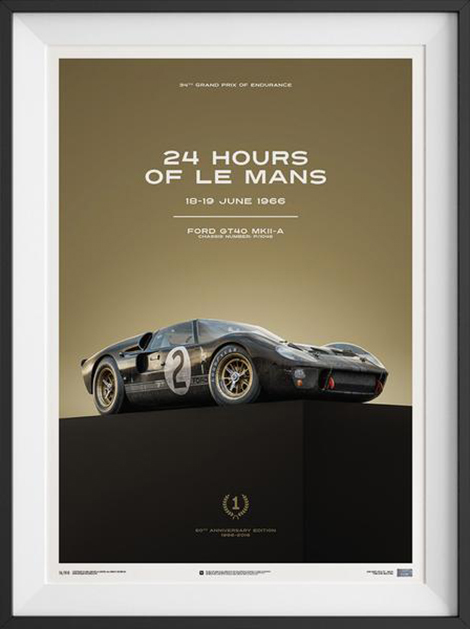 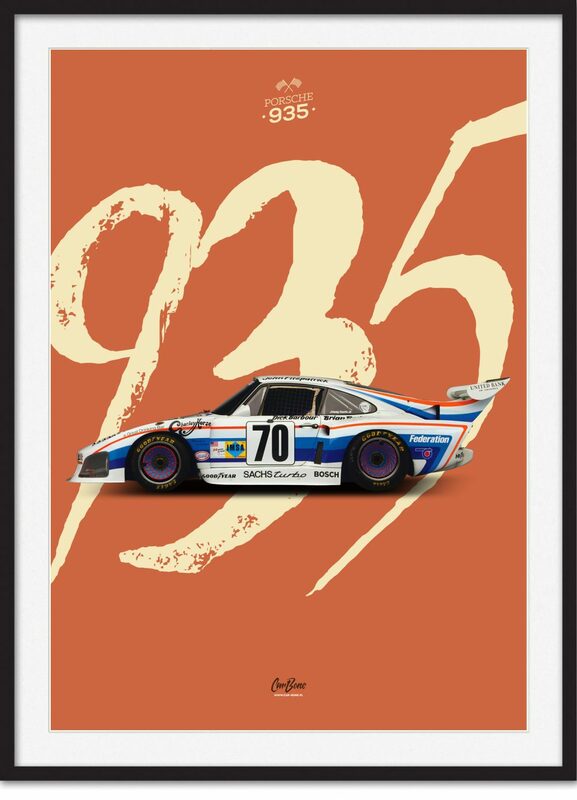 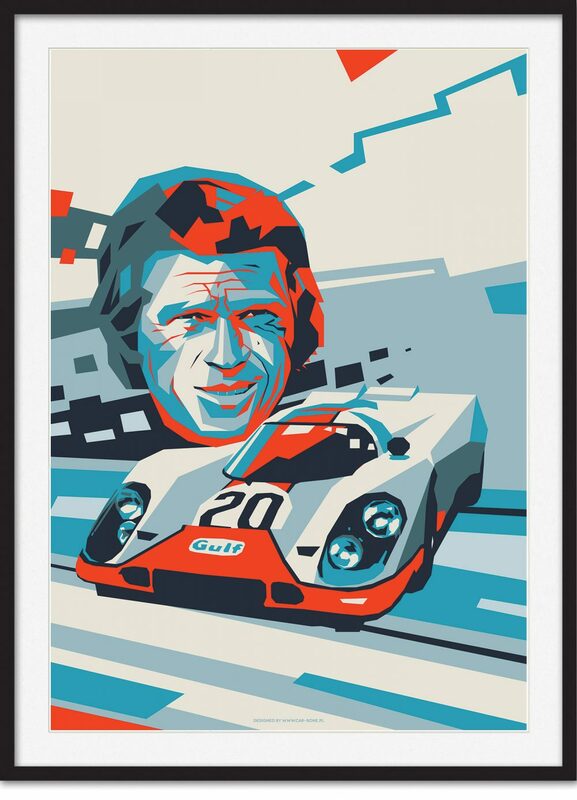 Included in the sale is their series of heritage posters celebrating significant figures in Porsche history. 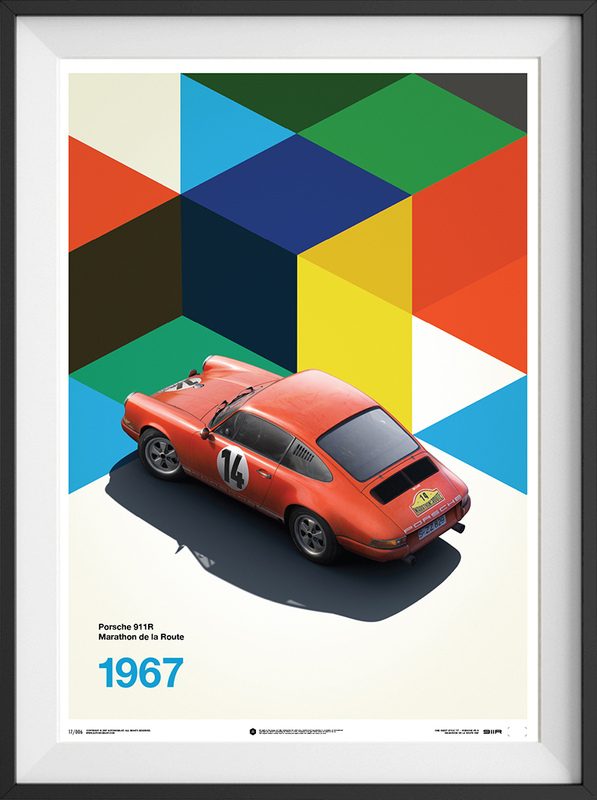 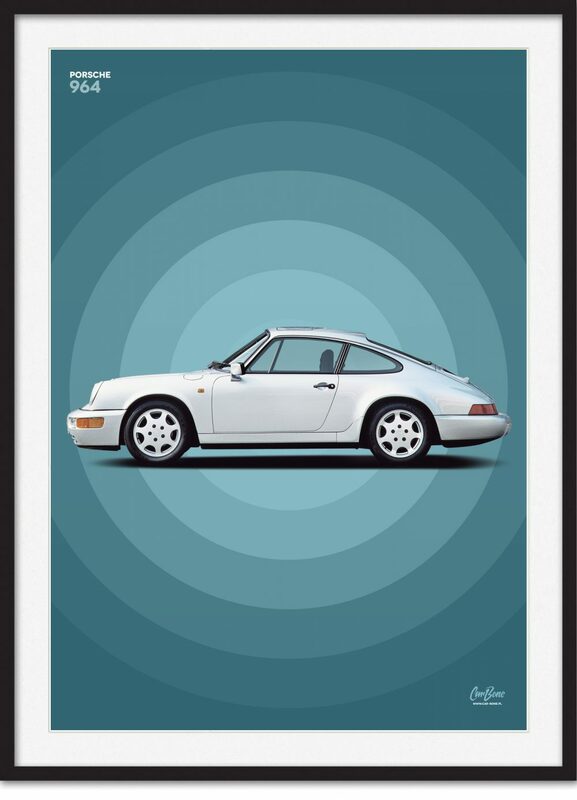 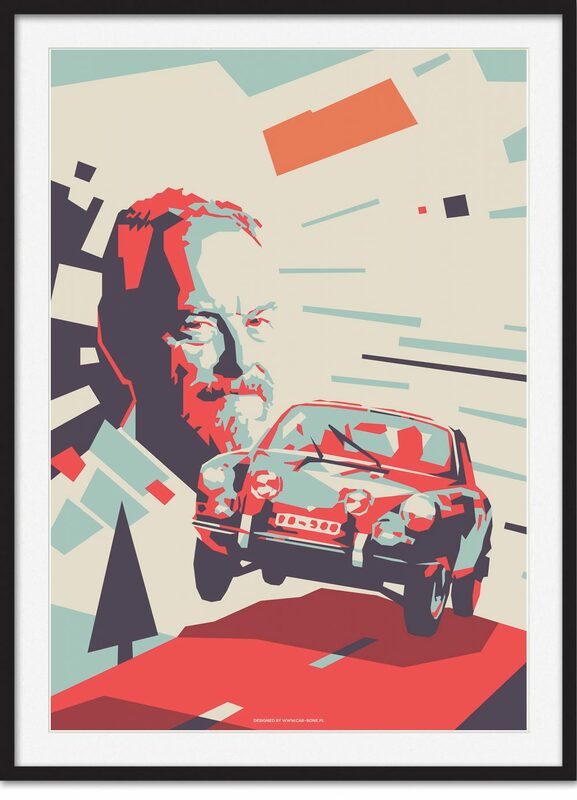 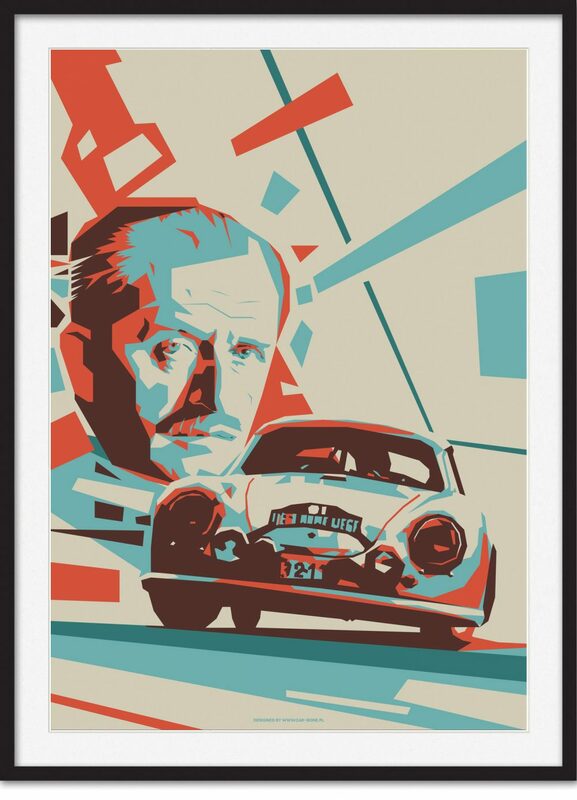 Read the longer original review of Car Bone’s Porsche posters here. 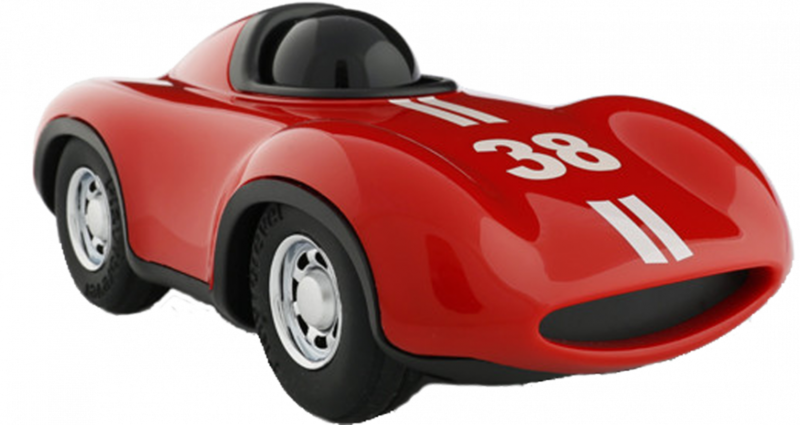 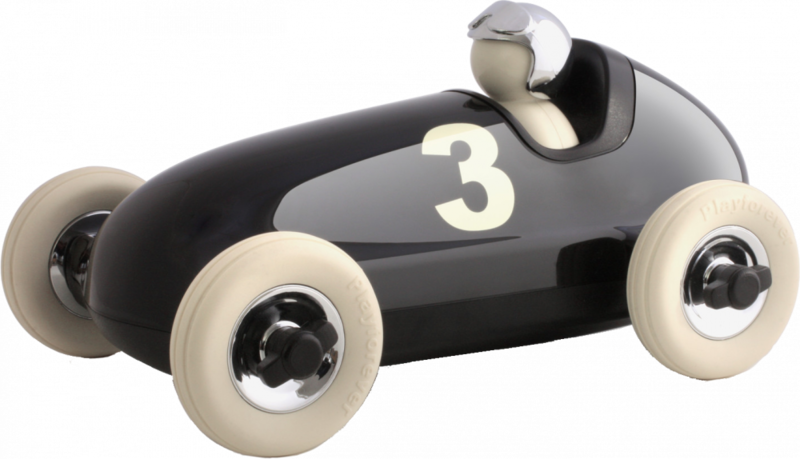 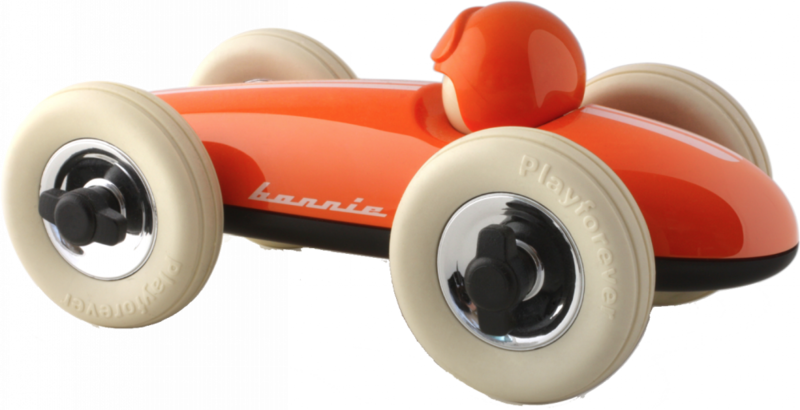 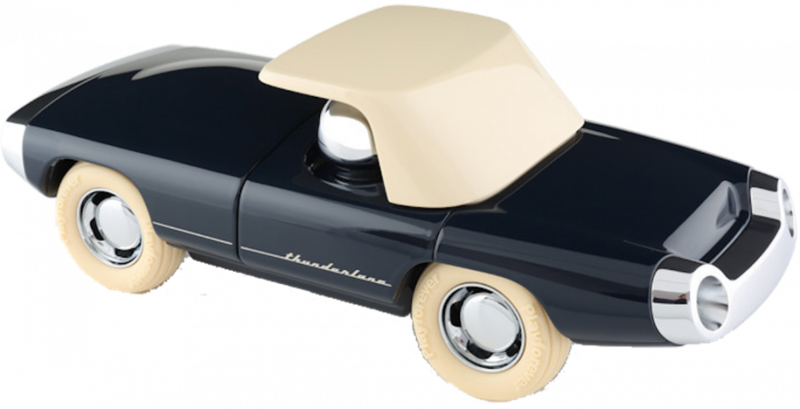 “Start them young” with these durable, tasteful toys designed for use and abuse as well as little ones’ first glimpses into the shapes and styles of vintage motoring. 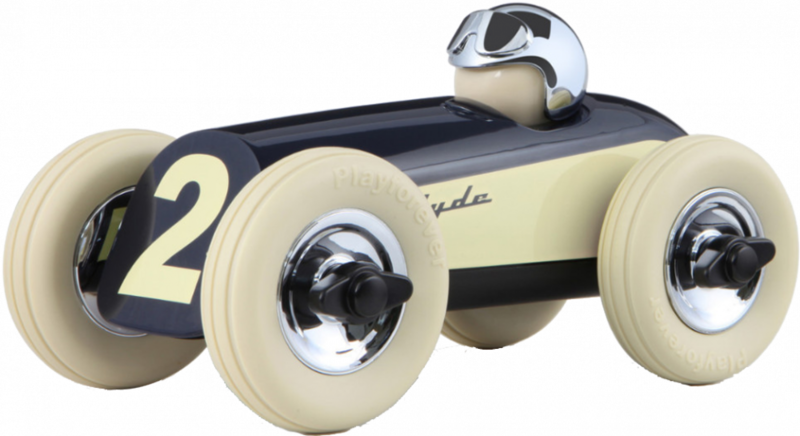 Learn more about Playforever toys here. 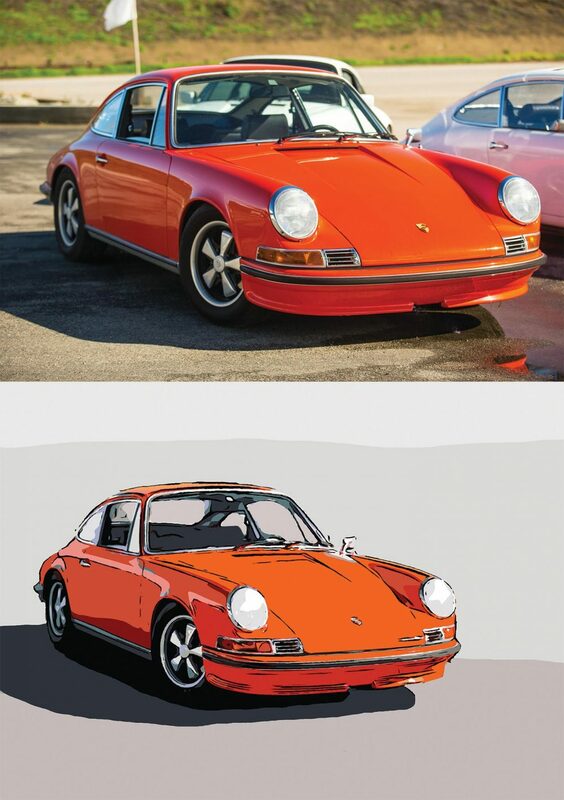 This made-to-order artwork offer is meant to capture your personal motorcar in a unique way; starting with a high-resolution photograph of your choosing, San Diego-based auto enthusiast and artist Patrick Stevenson will then consult with you on color schemes and other details to create a one-off painting that you’ve tailored to the space where you’ll hang the portrait of your best four-wheeled friend. 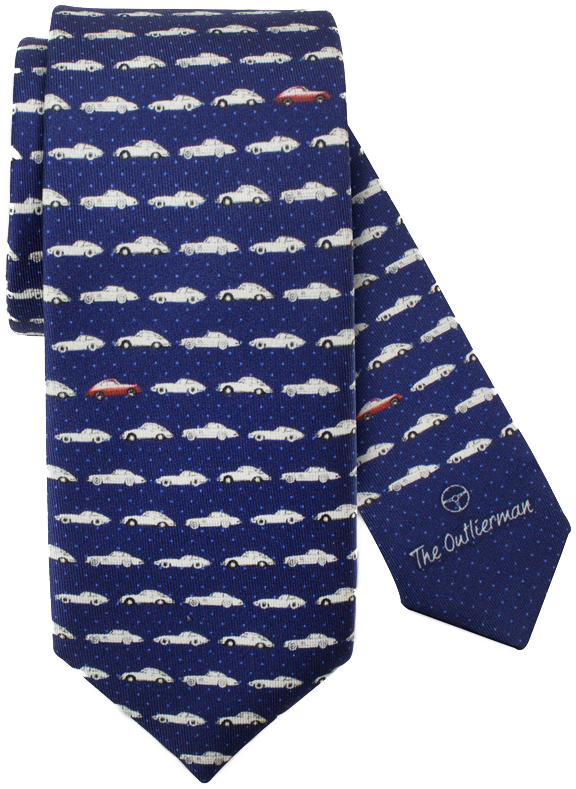 Read more about the custom-tailored process here. 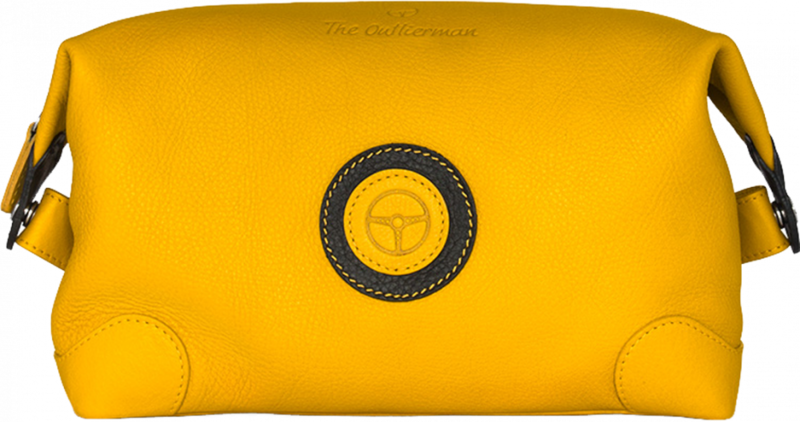 Above is just a selection of the entire range of sale items: view the the entire holiday sale list here. 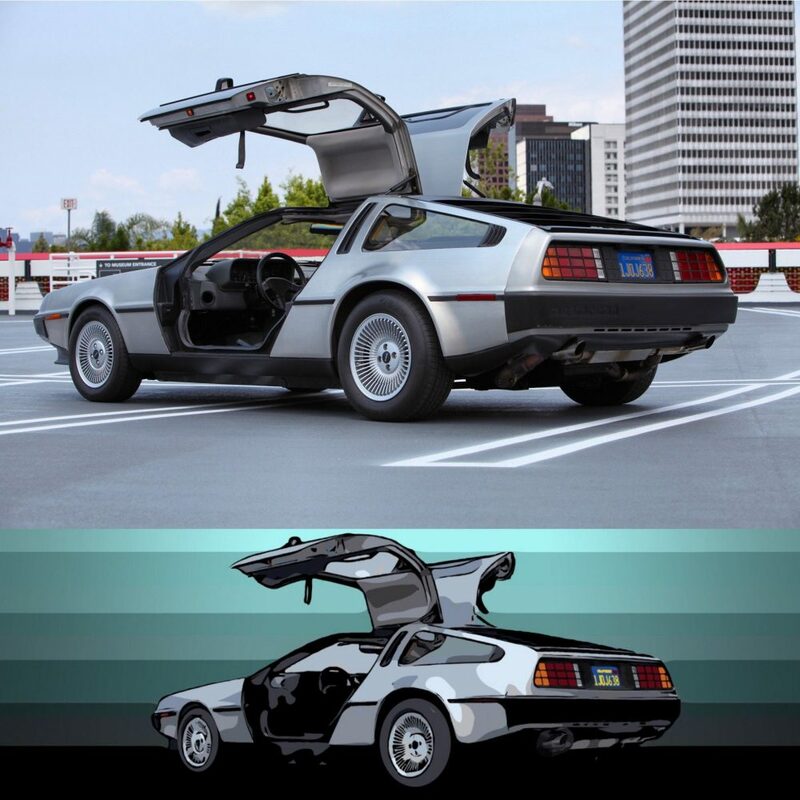 You require of make font larger windows 10 for the desktop .